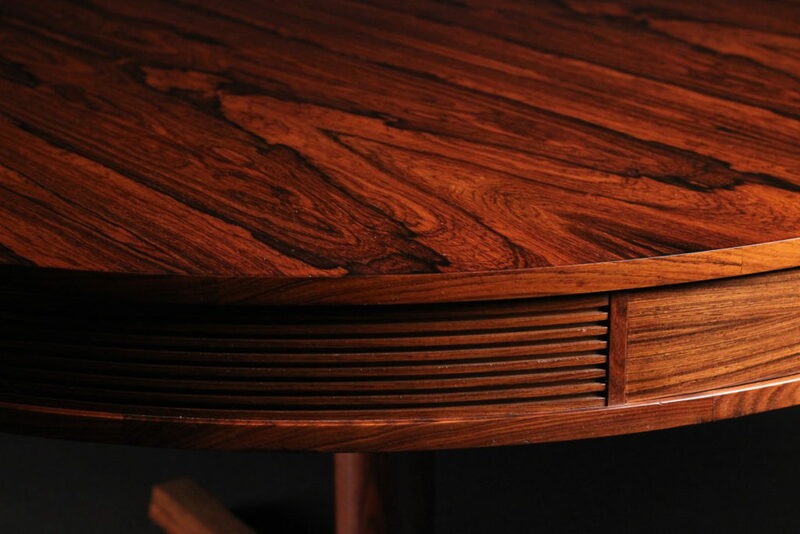 Designed by the highly respected Robert Heritage and made by the wonderful sounding Archie Shine Ltd. 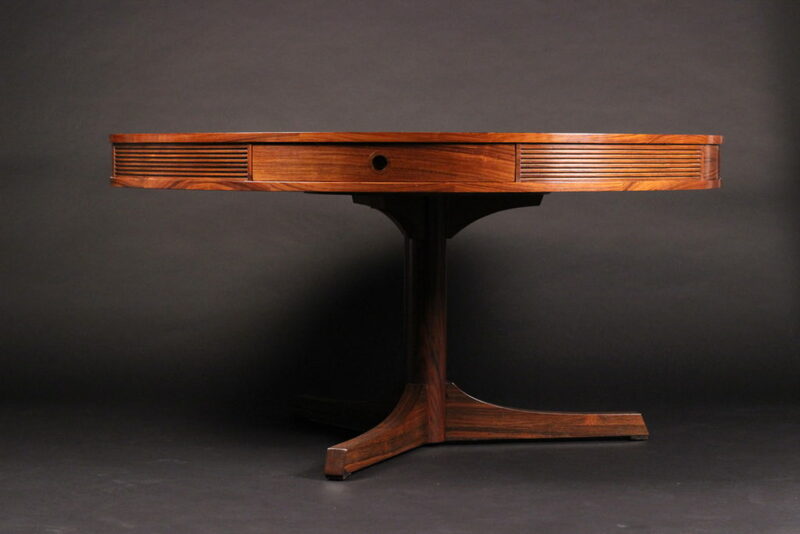 This piece was retailed at the World famous furniture store Heals of London, circa 1965. 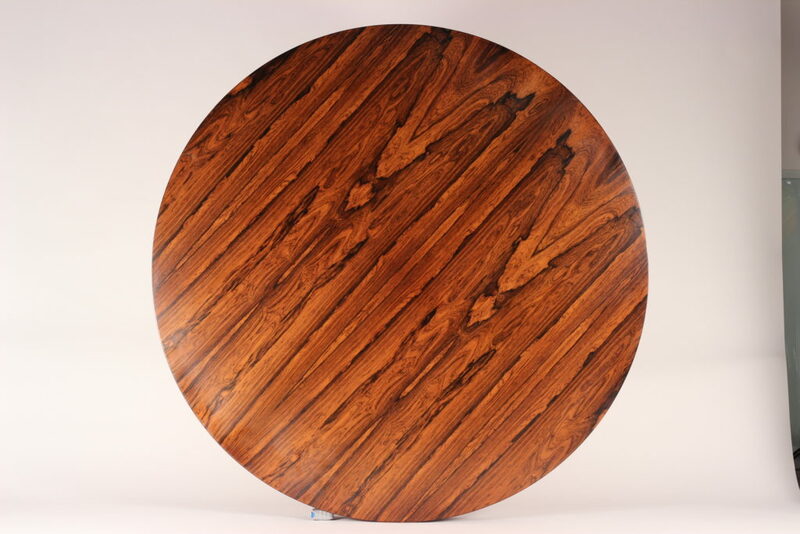 A large beautiful and highly distinctive grained Rosewood table, seated on a single pedestal tripod foot base. 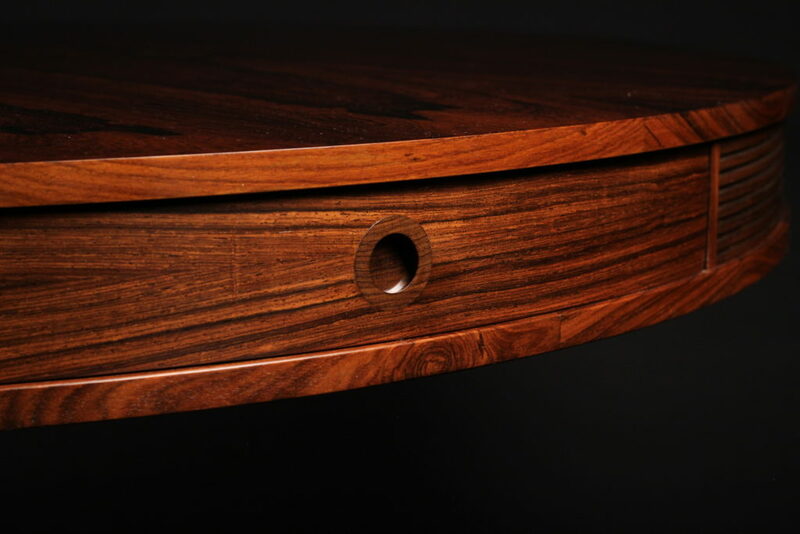 Around it’s circumference is a reeded apron containing four drawers. 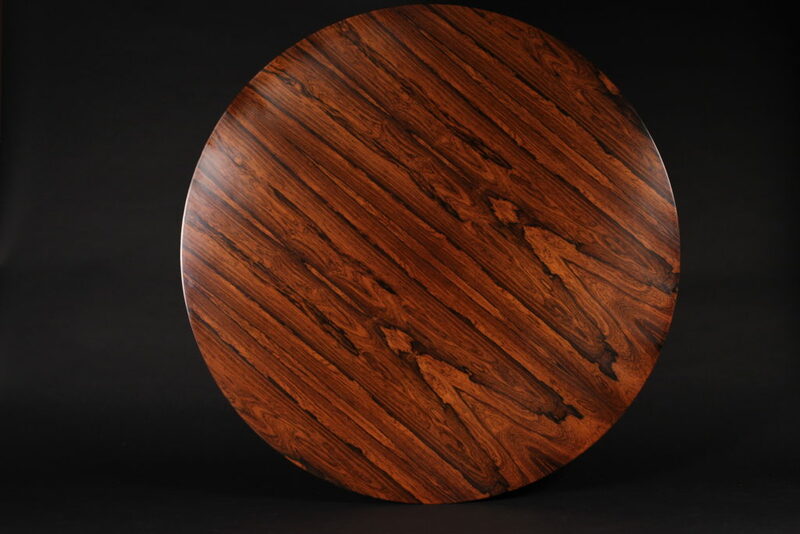 This piece has been professionally repolished. 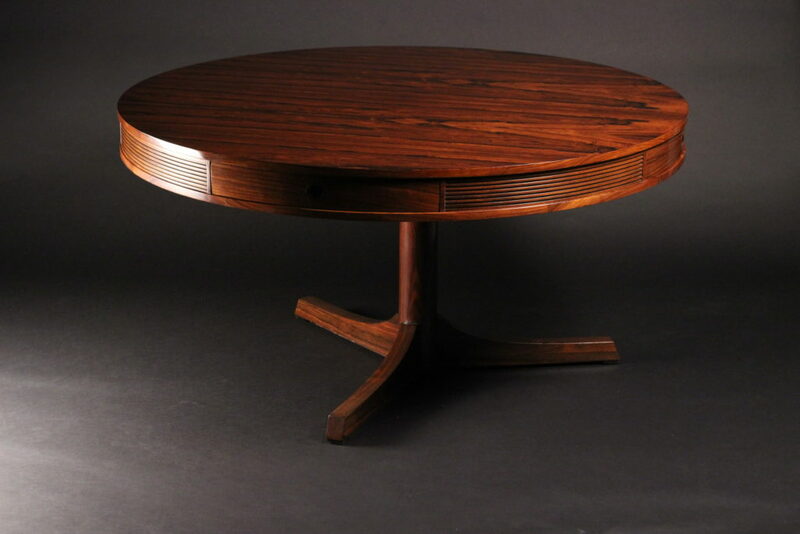 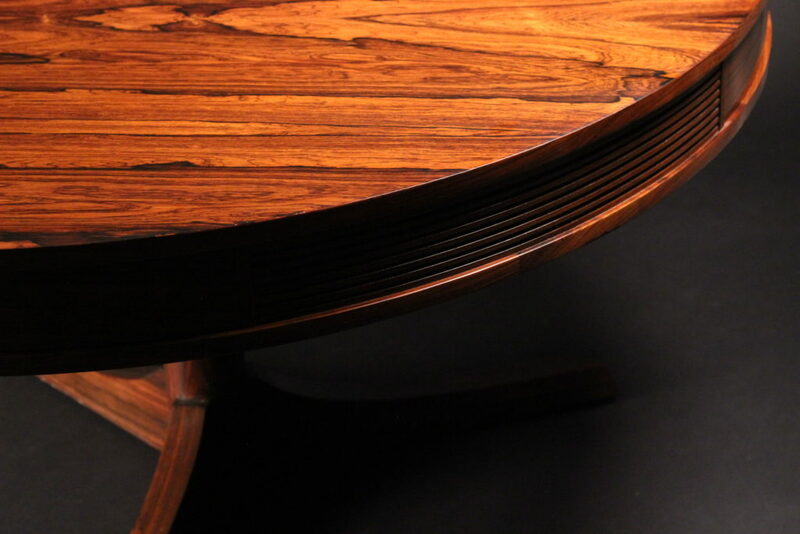 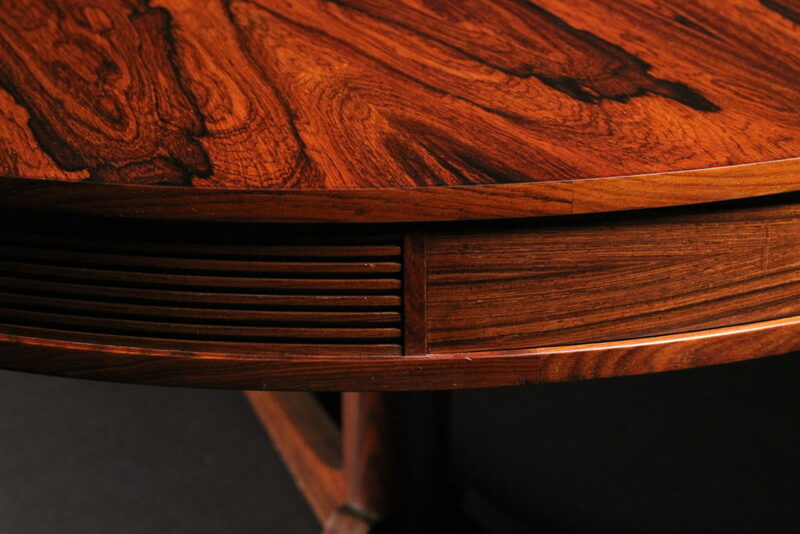 Mid-Century Modern Rosewood dining Table designed by Robert Heritage and produced by Archie Shine. 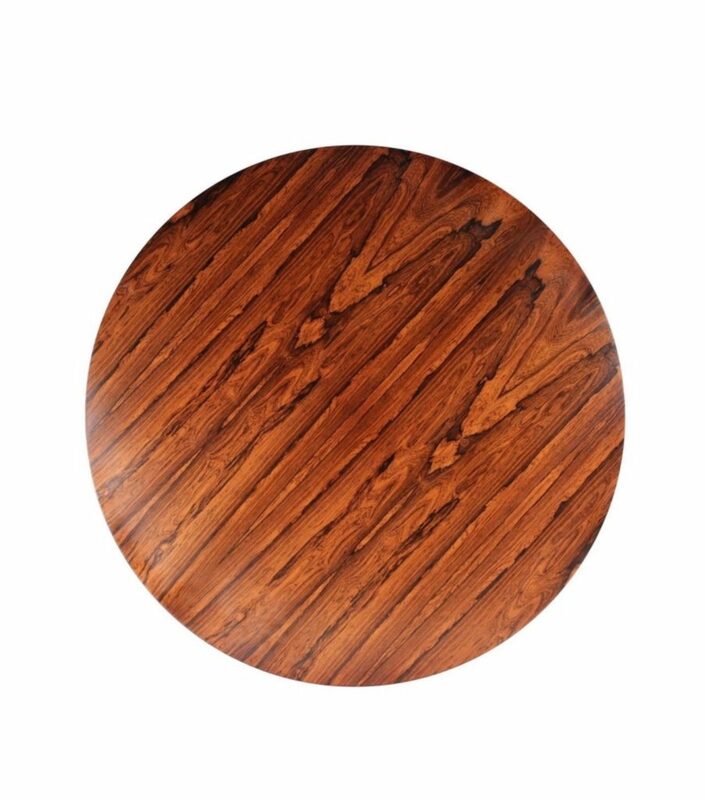 Minimum price for the offer must be greater than 3089.8% of the Product.